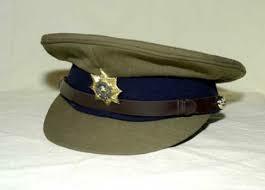 The Police Service Commission (PSC) has approved a new Zimbabwe Republic Police structure that abolishes the rank of senior assistant commissioner and replaces it with that of Commissioner of Police as the force continue to undergo major transformation. The new rank of Commissioner of Police is different from the rank of commissioner that existed in the previous structure. The ZRP rank hierarchy under the new structure starts from constable to sergeant, sergeant-major, assistant inspector, inspector, chief inspector, superintendent, chief superintendent, assistant commissioner, Commissioner of Police, Deputy Commissioner-General and then Commissioner-General. In an interview yesterday, chief spokesperson Commissioner Charity Charamba said senior assistant commissioners in the new structure were now being called commissioners as recently alluded by Police Commissioner-General Godwin Matanga. Last year, President Mnangagwa promoted three ZRP senior assistant commissioners to the rank of deputy commissioner-general in an ongoing restructuring exercise. The three were Senior Assistant Commissioners Mind Elliot Ngirandi, Learn Ncube and Lorraine Chipato. This brought the number of deputy commissioners-general, including Deputy Comm-Gen Stephen Mutamba, to four. The promotions came after the recent retirement from the force of three Deputy Commissioners-General Levie Sibanda, Innocent Matibiri and Josephine Shambare. Deputy Comm-Gen Mutamba is now responsible for crime, Deputy Comm-Gen Ngirandi (human resources), Deputy Comm-Gen Ncube (operations) while Deputy Comm-Gen Chipato will head the administration section. Several other senior officers were also promoted from the rank between chief superintendent and assistant commissioner. Early this year, the ZRP said it was set to undergo major transformation this year as it adopts a new structure and rebrands to win back public confidence. This was revealed by Police Commissioner-General Godwin Matanga in an exclusive interview with The Herald in Harare. The police, said Comm-Gen Matanga, was also ready to implement some of the recommendations of the Motlanthe Commission report such as training and equipping police officers. As a sweetener to the reforms, the new structure will save the organisation $7,7 million annually, while more cost-cutting measures will be explored. He said during the course of 2018, it had become inevitable for our organisation to undergo a restructuring exercise. He said this was necessitated by a number of factors such as the need to eliminate duplication of roles, redundancy, enhance efficiency and effectiveness, among others. Comm-Gen Matanga also revealed that police would roll out technologies such as cameras on highways, buildings and other key infrastructure as a crime prevention and detection measure, although he feared the measure would be delayed due to lack of funds.